Happy Monday… I think… Monday is hard for me simply because I miss my family that I got to be with all weekend. We had a low key weekend yet it still was full. Do you ever have that? My parents came to visit and Grandpa Joe was down quite a bit, so Josiah was in heaven with “my Boppa” (grandpa) and “my nana” (grandma). 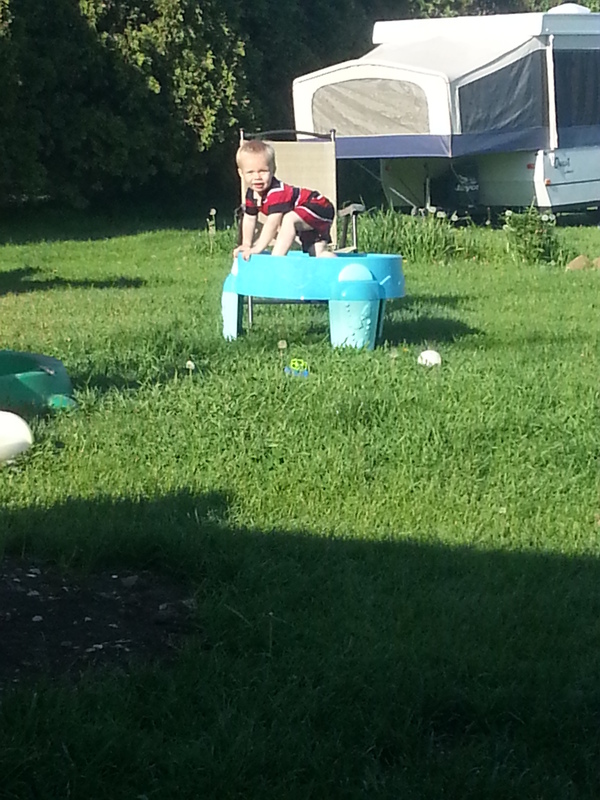 We spent alot of time playing in the water table and sprinkler on Saturday. Ross took me on a surprise date to see Million Dollar Arm which was a very sweet moving. I also got some time in to work of some baby shower gifts for a couple of my cousins. I can’t wait to share with you after I have given them out. But let me just say my work isn’t perfect but I’m pretty proud of what I came up with. 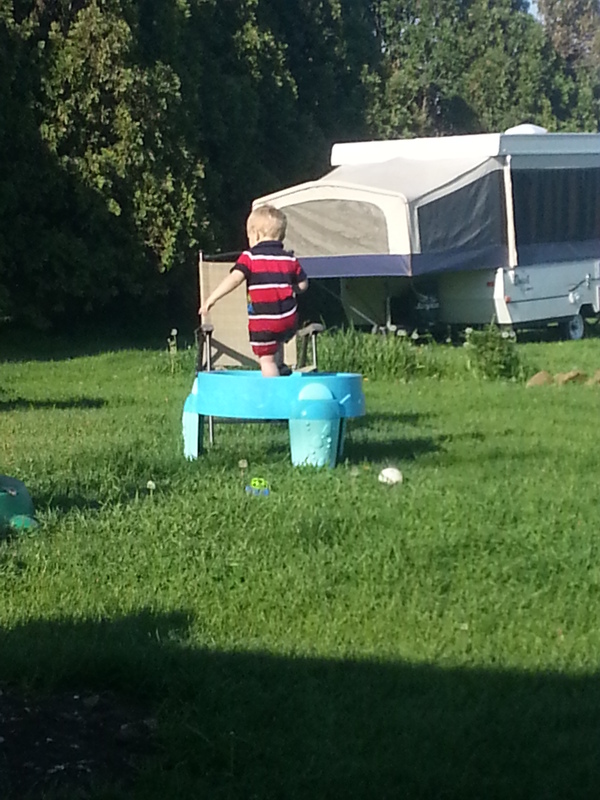 Because a water table is just too fun, you must climb in it! This week is another busy one. It’s my birthday on Friday. The big 2-7! I know… how did I get so old?? She's getting far to big far to fast! We will be having a house full of people over after the baptism for lunch. I love having a houseful. I love the planning and the cooking and the noise when all are there. I don’t like the cleaning. If anyone likes the cleaning part, please come over to my house any time this week. I’ll let you have at it! haha! So many blessings to celebrate coming up! Yea! June is probably my favorite month of the year for all these fun things happening.